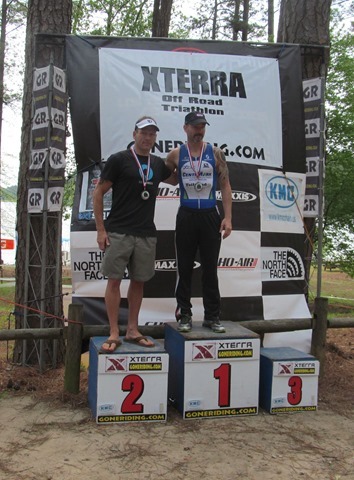 Last weekend was my second XTERRA for the calendar year (and the third for the season). It took place in beautiful Winder, Georgia at Fort Yargo State Park. This race always brings out a big crowd as the course is fast, the weather typically beautiful and a great chance to dust off the cobwebs from a long winter off-season. The usual XTERRA family was there. Got to see Craig, Owen, Sunny, Rob, Deena, Mark, Ali, Hugh, Peter and Mrs. Lilly. Made quite a few new friends as well. Swim was the usual mosh pit with elbows flying into my noggin and people trying to kick my teeth out. 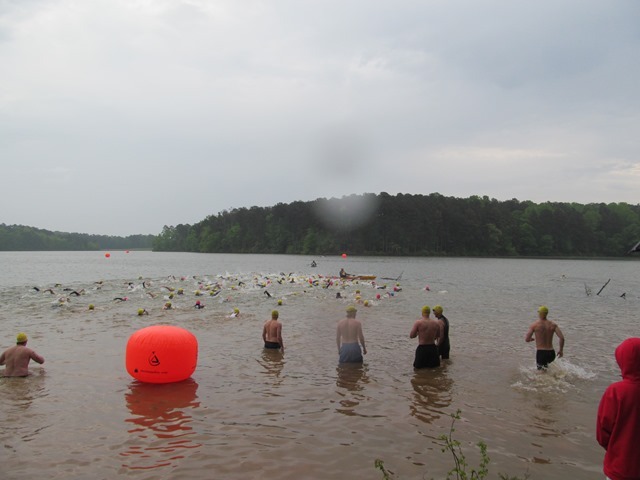 I managed to get away from the pack by the second buoy and find clean water, but not before expending just a little too much energy doing so. I came out of the water with Dano still in sight. The bike was fast and fun. 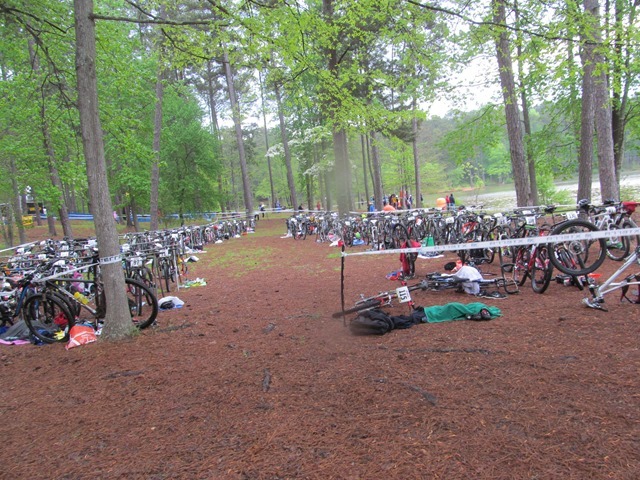 It had rained a little the morning of the race, so the trails were nice and tacky, but not slippery. The Schwalbe’s were hooking up good, keeping the bike on the trail and the GU Brew Roctane mix was keeping the engine going. I passed a few folks on the bike and managed an ok split. Out on the run, I passed a couple more folks and caught up with Dan. We ran together for a bit before I decided to try and chase down one more person. I didn’t catch him and took 4th overall. Craig was up front as usual, but was beat by James MCCurdy. There were 15 folks in our age group, but I squeaked out the win and Dan right behind me for second. Great race and great seeing everyone! Products used: GU Roctane and GU Brew, Schwalbe Racing Ralph and Rocket Ron Tires, Cobb DRT SHC Saddle, ESI Grips, Crank Brothers Candy 11 Pedals.